netextend has renewed it’s already existing PCI DSS certification. All tests and examinations were done by TÜV Süd in Munich. 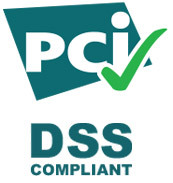 PCI DSS stands for Payment Card Industry Data Security Standard. It was developed by major credit card companies as a guideline to help organisations that process card payments prevent credit card fraud, hacking and various other security vulnerabilities and threats. netextend has been one of the first credit card processing companies to achieve PCI compliance according to the PCI Security Standards Council.